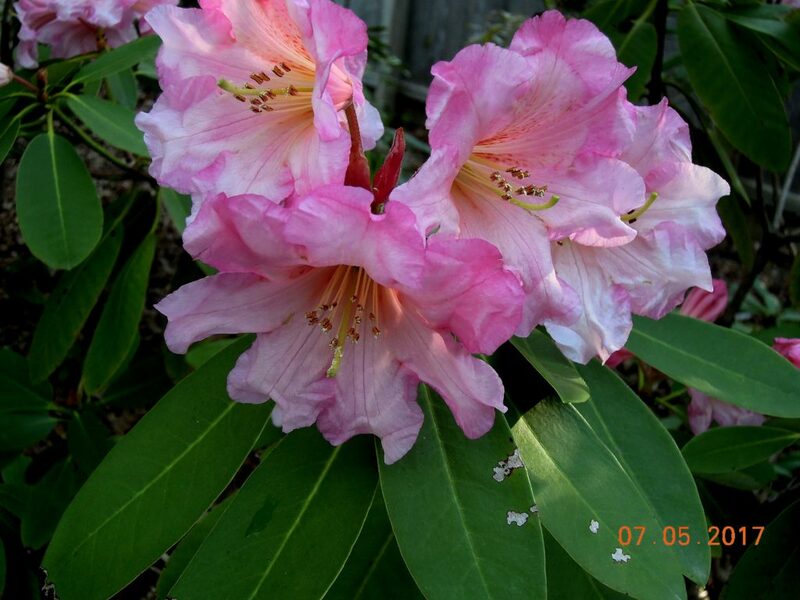 R. ‘Mount Siga’ is another prized Rhododendron with an interesting provenance. 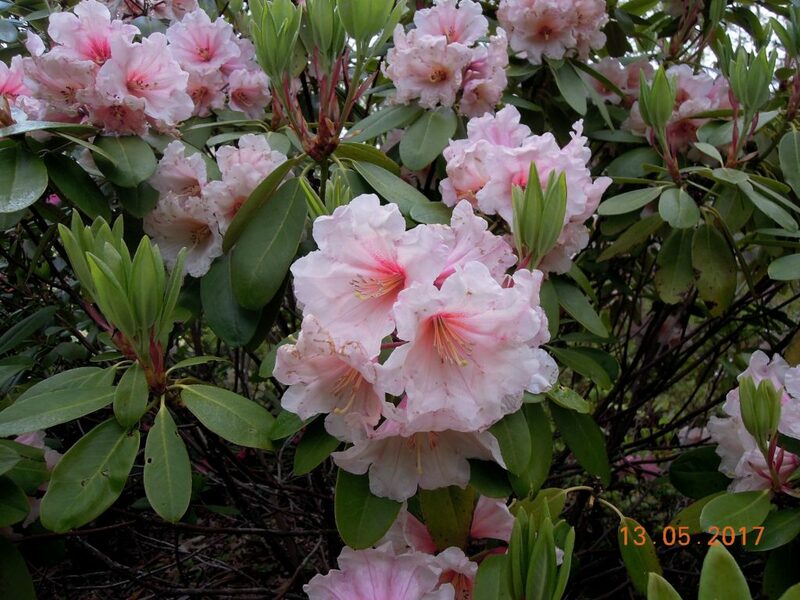 Joseph Gable propagated the plant from wild seed collected in China in 1929 and introduced it into commerce in 1979. I purchased a small plant in 2006 from Rarefind Nursery and it bloomed the following year. Flowering at a young age is not its only asset. My mature Mount Siga is a winter-hardy (-10 F), disease-free, handsome, impressive, 6-foot mound-like shrub. 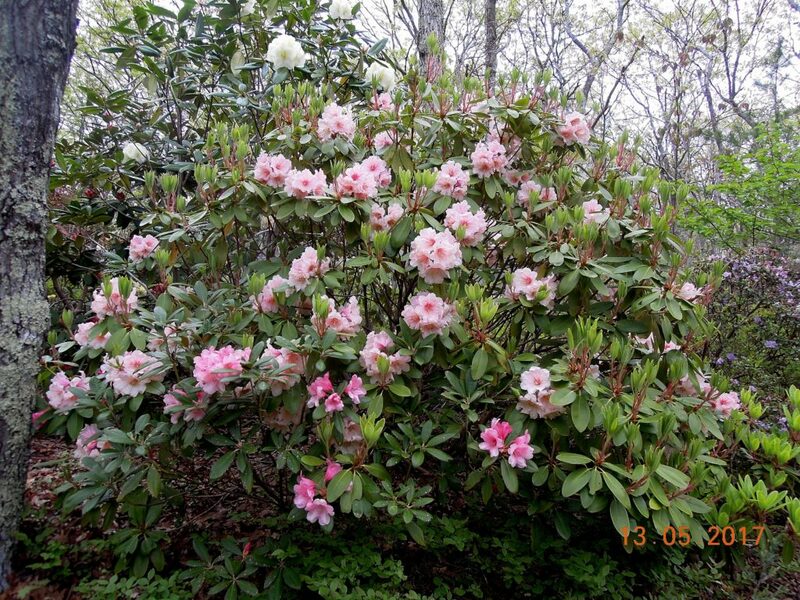 The large-leafed foliage is evergreen and the pink flowers in May are abundant and exquisite. Truly a plant with four seasons of interest. Photos below. March 2019 Addendum: I’m now informed the list will be available April 1. 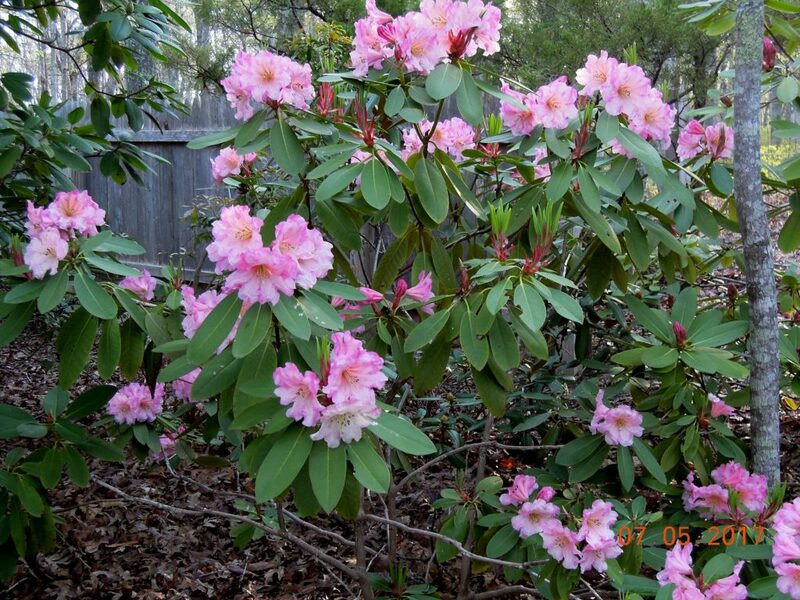 This Fall a number of my Spring-blooming Rhododendrons have been duped into bloom by warm weather, compromising Spring flowering. 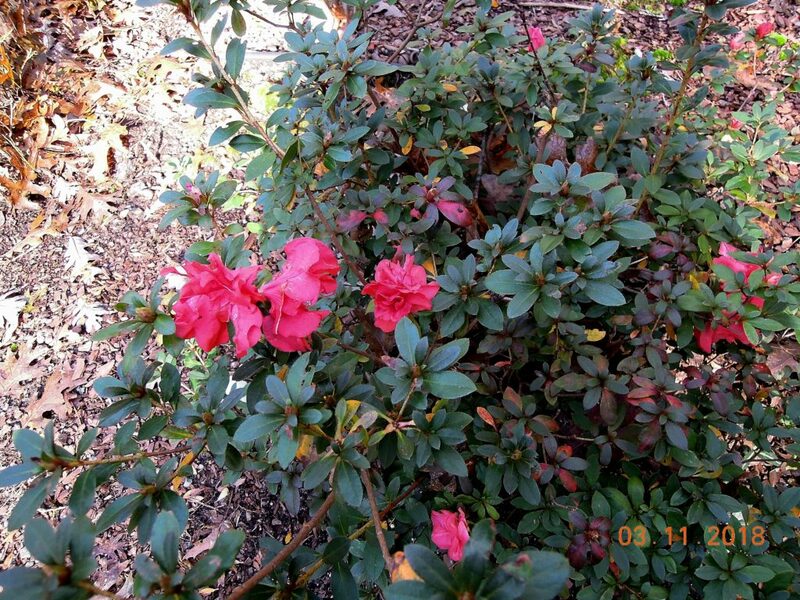 Worse still, if dormancy is delayed, it may affect the hardiness and health of plants like the evergreen Azalea, Rhododendron ‘Chipmunk.’ Photos below. In the past I’ve planted an army of Encore Azaleas. None survived their first winter. So I’m happy to report that this is Encore Azalea Autumn Sunburst’s third year in the garden. 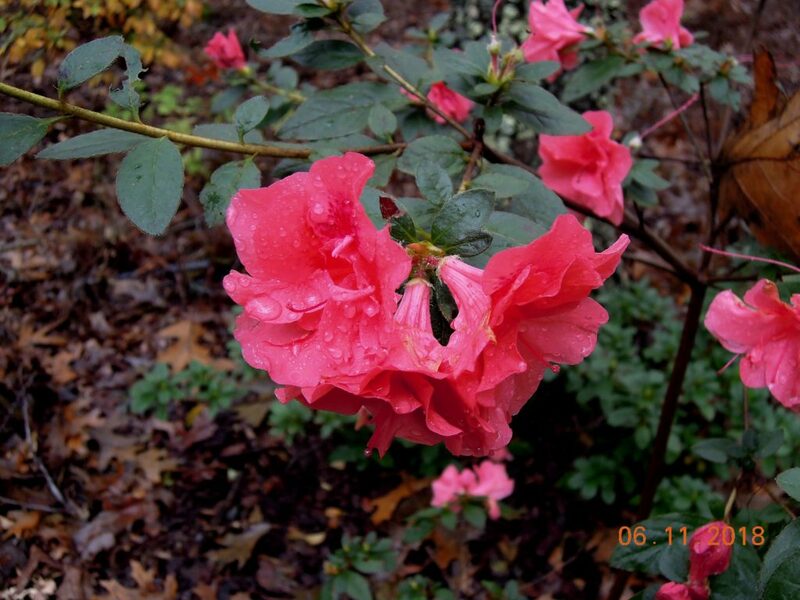 The Azalea is winter-hardy (Zones 6-9) and it’s a reliable bloomer, producing yummy coral-pink flowers in Spring and Fall. An Encore I can safely recommend. Photo below. 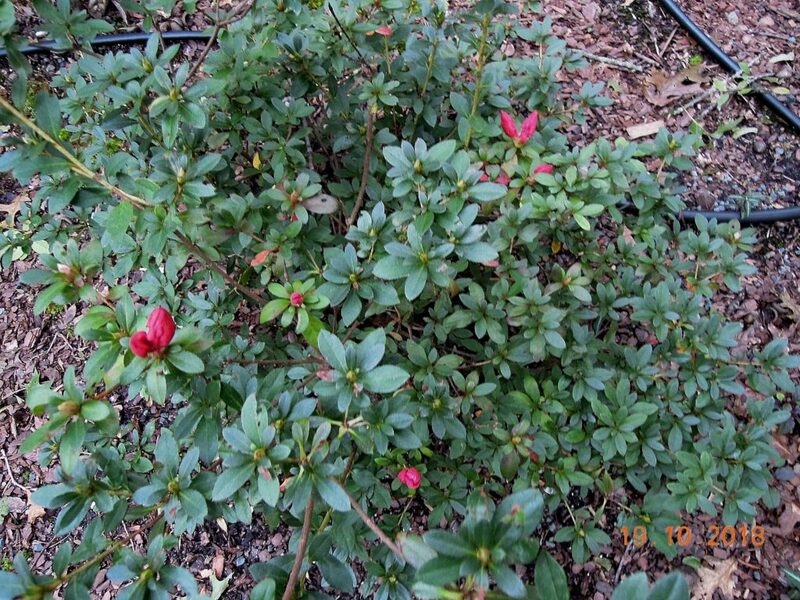 This entry was posted on November 17, 2018, in Flowering Shrubs, Organic Gardening, Shade Gardening, Trees and Shrubs. Bookmark the permalink.